Battle of the Blogs: Rihanna & Chris Brown To Be Engaged or Are They Broken Up? One of the more comical things about following a variety of gossip sites is seeing drastically different stories written about the same person on the same day. Yesterday the lead story on Mediatakeout was that Rihanna and Chris Brown were getting engaged that night. I thought, oh really? All last week there had been rumors that Rihanna and Chris Brown weren’t even on speaking terms. Couple that with rumors Karrueche Tran was discreetly accompanying Chris in Houston an impending engagement sounded far fetched. Plus it isn’t the first false alarm from MTO. Well last night came and went and no news of any engagement nor any indication that Rihanna and Chris Brown were even anywhere near each other. This morning I check out Bossip and they are running a story claiming Rihanna and Chris Brown broke up right after the Grammys. Of course they added a juicy twist that it was supposedly over Drake’s affection for Rihanna. So which is it? 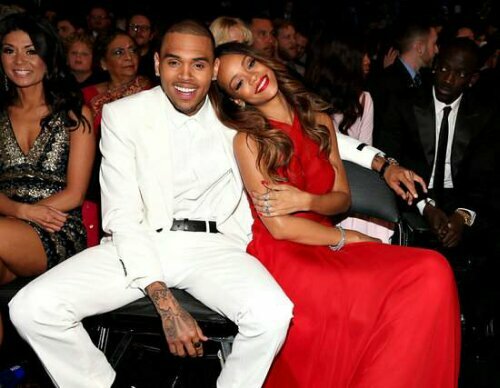 Are Rihanna and Chris Brown heading to the altar or are the on again off again lovers currently on the outs? I’m calling a fumble on MTO. It looks like Bossip won this round although I am skeptical Drake was the root of a falling out. It would be quite a feat for Rihanna to manage two Grammy performances a lovefest with Chris Brown and still have time to exchange texts with Drake. Of course there is the possibility that Rihanna and Chris Brown are together but not altar-bound. One thing I can guarantee is it won’t be long before we find out and the next round of rumors gets buzzing.